Accommodation surrounded by wonderful bird life with sitings of wallabies and weka. Views of Bon Accord Harbour from outdoor deck. Queen Size Bed with duvet and pillows supplied. Easy walks to Mansion House, Coppermine Bay and Historic Reserve. Bring walking shoes and jackets. Mansion House Cafe open in summer. Swimming off wharf or beach at Schoolhouse Bay, Lady's Bay and Mansion House. Kawau is a fire protected island, therefore no fireworks or smoking on or near property. Kawau Island has a "rubbish in and rubbish out" policy. Rubbish bags provided. Suitable for a couple only. No shops on island - bring all catering and refreshment needs. Lovely place to relax, very clean, comfortable, beautiful view, sunny deck. Perfect place for all the track around and close to the Mansion house. 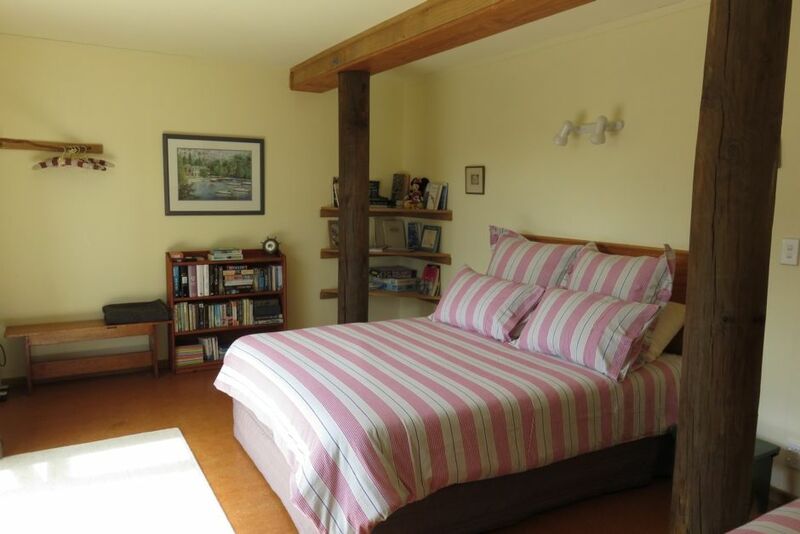 The Jens’ newly renovated place on Kawau is a must-stay. We swam, walked, cooked, fished, puzzled, read, scrabble-d, watched movies and enjoyed drinks watching the sunset each night. The place is full of thoughtful touches and very well resourced. The bed was very comfortable and so were we. Thank you, Jenny and Jen, for the warm hospitality. We had a wonderful time and hope to return one day. A pleasure having you both to stay on Kawau Island. Lovely to share this little piece of paradise. Much nicer than it looks in the photo. The view is lovely. So are the furnishings, clean and modern toilet and kitchen, herb garden, library and board games. Great view of the stars at night. 15 min walk uphill from the beach. Such an amazing place to stay and a perfect place for a get-a-way! The accomodation was all a couple could ask for and more.